Free Shipping Included! iPhone X Battery Case, PunkJuice 6000mAH Fast Charging Power Bank W/ Screen Protector | Integrated USB & Lightning Port | Slim, Secure and Reliable | Designed for Apple iPhone 10 [Black] by punkcase at All Company Mobiles. Hurry! Limited time offer. Offer valid only while supplies last. 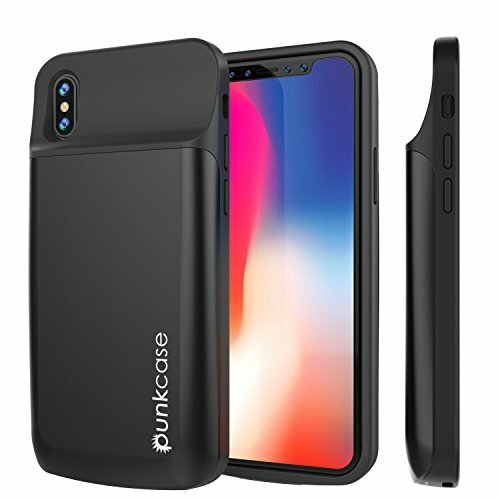 ★ PunkJuice 6000mAh iPhone X Battery Case: Protective and Powerful charger case with integrated USB Port. Never again get punked by a dead battery!